Foodmate US. Inc. is a leading poultry processing equipment provider, founded by industry experts in 2010. The company launch in the U.S. was a result of a successful product line development in the manufacturing facility located in the Netherlands. As most successful stories go, Foodmate US’ timing was just right: the American Poultry Industry market was ready for the simple, modern and efficiently designed equipment Foodmate had to offer. In the last nearly 7 years, the company has shown an unprecedented exponential growth in the industry and has become the committed and reliable partner of major poultry processing plants. In 2016, Foodmate secured the largest Cut-up System project in the U.S. Driven by research, paired with unmatched knowledge and decades of experience, it is the company’s mission to innovate, automate and bring cost-effective solutions to the industry. Though cut-up, dark and white meat deboning systems are the company’s main focus, Foodmate’s product line spans a wide assortment of poultry processing equipment designed for live bird handling, killing and de-feathering, eviscerating, chilling, weighing and grading systems and more. In addition to equipment manufacturing, Foodmate provides an extensive variety of spare parts and equipment service. Inc. magazine ranked Foodmate No. 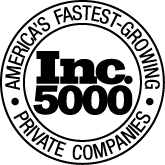 885 on its 36th annual Inc. 5000, the most prestigious ranking of the nation’s fastest-growing private companies. The list represents a unique look at the most successful companies within the American economy’s most dynamic segment— its independent small and midsized businesses. In addition, Foodmate was listed No.13 in the manufacturing sector and No. 38 in the state of Georgia. Though we are growing exponentially, we still have the feel of a small company, with a family atmosphere. We really like and care for each other here! The Field Service Technician position encompasses a wide range of knowledge, technical, and professional skills. There are three levels of Field Service Technicians and each level reflects the range of knowledge and skills required. Successful applicants will be evaluated to determine the level of skill possessed to determine appropriate job classification. Salary is based on verifiable skills, knowledge, and qualifications. The Field Service Technician provides first level customer support for installed Foodmate systems and new installations. He or she should possess the skills to test, diagnose, troubleshoot, repair, and debug electro-mechanical processing equipment and related systems. The Field Service Technician must be able to use his or her outstanding communication skills to work closely with customer management, supervisors, production employees, and technicians on complex problems and assume responsibilities for continued customer satisfaction. This position requires frequent travel to customer sites to assist with installation, servicing and repair of Foodmate poultry processing equipment and related sub-systems, and equipment rebuilds. Work assignments are varied but limited in scope and complexity. This work typically is managed under the direction of more experienced staff. This job is an attractive position for candidates who want to travel and be exposed to a wide variety of different opportunities and challenges. Able and willing to travel a minimum of 85% of the time to perform service related tasks at customer sites. Two-years of technical trade or equivalent experience. Course work or prior verifiable work experience with installing, troubleshooting and/or repairing electrical/pneumatic/automated/industrial equipment. Must have mechanical aptitude with ability to use various hand/power tools to install/maintain equipment. Knowledge of electrical components and understanding of electrical current flow with ability to identify and troubleshoot the same. Must be able and willing to travel a minimum 85% of the time. Must be able to read and follow blueprints, machine drawings, and electrical drawings. Must be proficient in the use of a laptop computer, iPad and related software. Must be able to use a variety of common power and hand tools. This job will require about 80-85% travel and may include non-traditional work hours. Some facilities will require help on 2nd and 3rd shifts. The working conditions are normally within a poultry processing facility which can be cold or hot and damp environment. The position will require the use of personal protection devices (ear plugs, hard hat, and eye protection). When not traveling, work will be completed from hotels, home, and/or office. This position will require extensive travel by car, heavy lifting, and working on ladders and floor. Looking for an awesome place to work?! We are always looking for dedicated and talented individuals to join our Foodmate Family! If you do not see a specific applicable position open at this time, you can still send us your resume and position you are interested in. We will review your application and contact you when a relevant position opens us for you! Use the "APPLY NOW" button below to send your information and upload your resume. Foodmate US. Inc. is a leading poultry processing equipment manufacturer based in The Netherlands. Founded by industry experts in early 2006, the company quickly expanded its worldwide distribution into North and South America with the launch of Foodmate US in 2010, and Foodmate Brasil in 2015. Foodmate has become the committed and reliable partner of major poultry processing companies worldwide. Ready to join Foodmate US? Please fill in the application form, along with the position you’re interested in, and your CV in PDF format. We will be in touch with you shortly, and thank you for your interest!